I have always said that the right car in the wrong color is the wrong car. No beige 1959 Cadillacs for me, thank you. A lady named Emily in the store last week casually mentioned that she was selling her 1965 Corvair that she had owned for 25 years. “What color”, I asked, which is always my first question when someone tells me about a car. “It’s called Evening Orchid”, she replied. “It’s kind of a lilac”. Thank you Jeff and frapper! 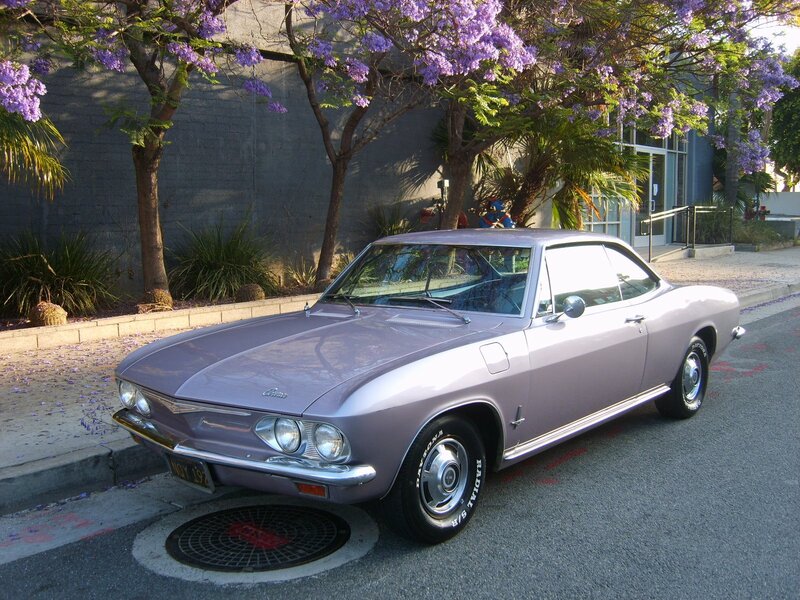 I now know that My lavender and white Corvair convertible wasn’t a custom paint job but a real Chevrolet color of the day! Evening orchid. The only difference between mine and this one is mine had a white convertible top and white white wall tires … so it was like the yellow one I posted, but this color! Awesome! OK, well … it was mine, but I never got to drive it. Anyway, back to my story … My Dad and a few guy friends went to pick it up somewhere near the Carlisle, PA area. Like I say, it sat for a couple years and belonged to a little old lady. Apparently she had it painted that pinky lavender since I haven’t seen any anywhere that color. You are always in my heart Daddy…I love you and miss you so much! What got me going on this today? 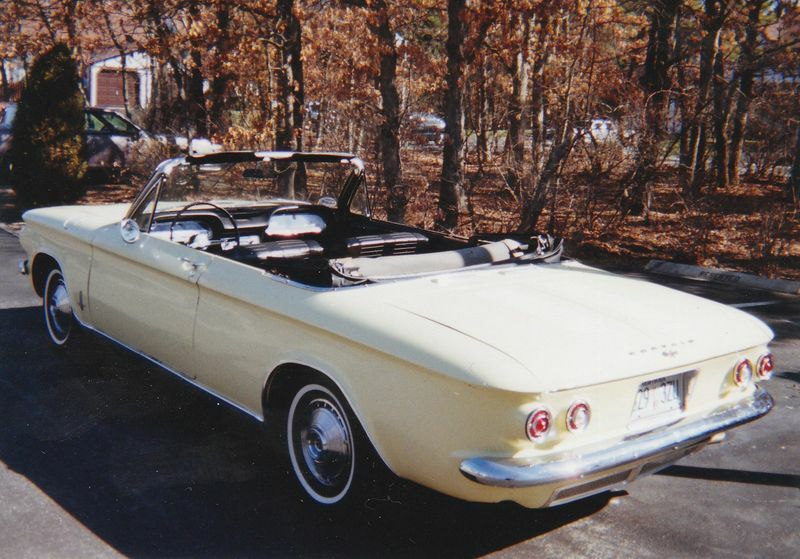 I don’t know, we were talking about first cars, and was looking around on the Internet today and came across Keith’s Blog: The Corvair I Let Get Away and just had to tell my story too. 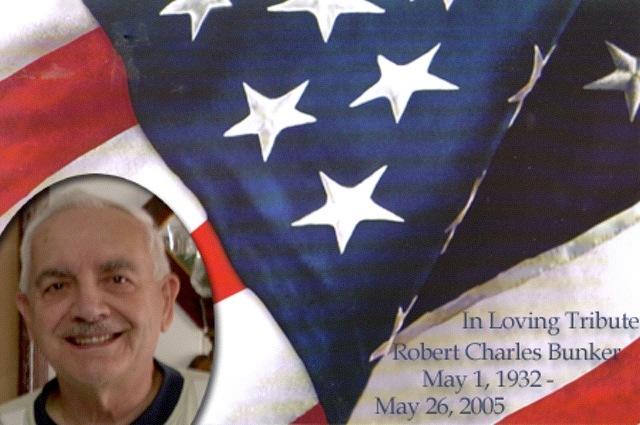 May 1st we celebrate the life of a very precious man, my Daddy, who passed away in 2005. Daddy would have been 78 tomorrow.